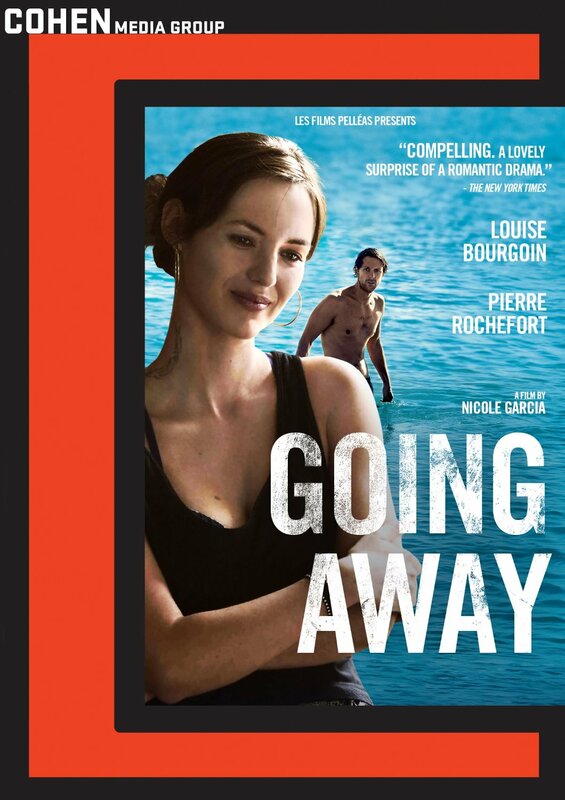 The routinely titled GOING AWAY (in its original French, it was the much better Un beau dimanche, or "A Beautiful Sunday") is so much more interesting and specific than that silly moniker lets on that you might want to take a chance on this strongly character-driven drama about fitting in and opting out. 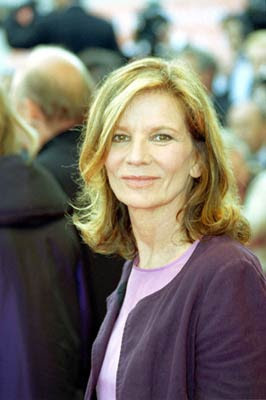 As co-written (with Jacques Fieschi) and directed with economy and the kind of realistic style at which actress/ writer/director Nicole Garcia excels (this is her tenth film, among then the very good Place Vendôme and The Adversary), Going Away turns out to be an easy watch: burgeoning and scattering small surprises as it moves along. Ms Garcia (shown at right) has cast her film quite well, with the two leads played by an actress I like better each time I see her, Louise Bourgoin, and an actor, Pierre Rochefort, whom I've seen before but never in a leading role until now. Both play characters who are afraid to commit, and their behavior, while understandable if annoying, is also quite enjoyable to watch. Garcia and her co-writer give the pair plenty to do and say and feel, and the duo comes through in fine fashion, with the beautiful Ms Bourgoin (below/above) adding another good role to her versatile resume. For his part M. Rochefort (above) proves a fine co-star for this actress; he's attractive, manly (if diffident and retiring), and something of surprise in the sudden-fisticuffs department. Also along for the ride is the Bourgoin character's little son, Mathias (played well by newcomer Mathias Brezot, below), who also proves to be the set-up for the movie's combination character-study/road-trip plot. In a relatively large and somewhat starry supporting cast (members of the Comédie-Française make appearances, as is often the case in French films), most prominent and welcome is the opportunity to see Dominique Sanda (below) once again, looking older, yes, but still sporting those special qualities of class and classic beauty we remember so well from The Garden of the Finzi-Continis and The Conformist. All about parenting, family and responsibility (in ways that movies don't generally demonstrate), Going Away is, finally, a love story that arrives slowly (which is all the better) but seems that much more believable for taking its own sweet time. 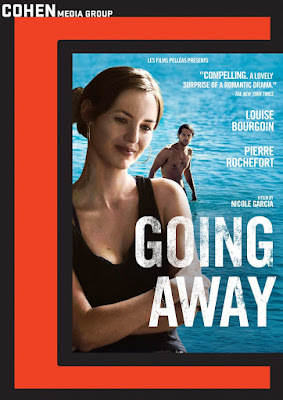 With locations that range from a small provincial town to the seaside (above) to a verdant mountain range and a quite impressive French estate, the movie (which, visually, is a vacation in itself) -- from Cohen Media Group and running just 95 minutes -- arrives on DVD, on Amazon Instant Video and on VOD this Tuesday, June 21, for purchase or rental.